There’s a reason that my rhubarb curb is orange. See, I saw this picture on food52. It looks like a soft, tangy, pink sea right? Whatever. I just like rhubarb. So I made it with my $4/carton pastured, low-guilt eggs. You hear people talk about how rich and yellow the yolks are, but it’s not until you add pink rhubarb juice and they’re steadfast in their sunniness that you realize they mean business. Initially, the yolks kept the curd yellow and LIKE A CHILD I added a few drops of red food coloring because I really wanted cute pink rhubarb curd. Orange was the best I could do. Moral of the story: Nature is neat. 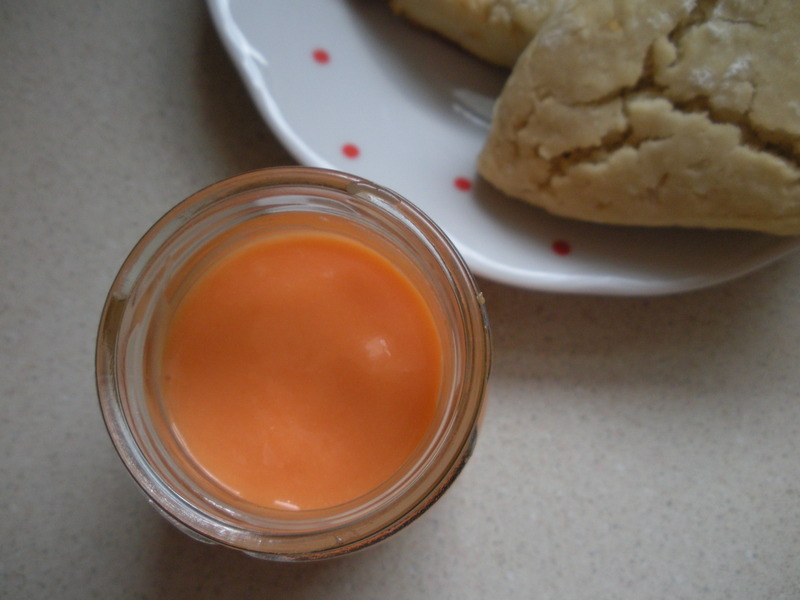 Make rhubarb curd. The scones in the background are from the Allergen Free Baker’s Handbook.